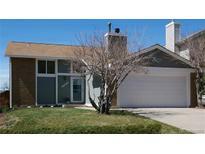 Below you can view all the homes for sale in the Hampden Hills subdivision located in Aurora Colorado. Listings in Hampden Hills are updated daily from data we receive from the Denver multiple listing service. To learn more about any of these homes or to receive custom notifications when a new property is listed for sale in Hampden Hills, give us a call at 720-580-6694. All information is deemed correct and reliable, buyer and buyer agent to verify all information MLS#4921411. Your Castle Real Estate Inc.
Award winning Cherry Creek School District. MLS#8252360. HomeSmart Cherry Creek. The downstairs bedroom with adjacent powder bath may have room for shower stall expansion based on similar floor plans. Welcome home! MLS#1658325. eXp Realty, LLC. Equity opportunity in the basement space with rough in, electrical, egress window, and bathroom in place for future added living area! MLS#4782904. COLDWELL BANKER RESIDENTIAL 24. No showings until Saturday April 13th. MLS#5429894. Realty One Group Premier. Do not miss out on this opportunity. MLS#2611222. Berkshire Hathaway HomeServices Innovative RE. With some TLC, this could be a perfect home for your family! MLS#5297691. HomeSmart Realty Group. Bring your clients today before it's gone! MLS#5753677. Brokers Guild-Cherry Creek Ltd..
Commuting is easy from this area to DIA, DTC and Downtown Denver. MLS#4028521. Key Real Estate Group LLC. Conveniently located for easy commutes via 225, E-470 and Cherry Creek Schools. MLS#6779362. RE/MAX Professionals. Backyard has been completely updated with a new deck off main level, new stamped concrete patio, new retaining wall, new sod, new sprinkler system, and utility shed. MLS#5775352. HomeSmart Cherry Creek. Move in ready! Will not last long! MLS#4816448. RE/MAX Alliance. Don't miss out on your opportunity to live within the top-rated Cherry Creek School District. Welcome home! MLS#7343480. Keller Williams Integrity Real Estate LLC. Private backyard patio space with mature tree. Great opportunity, Hurry! MLS#6735158. Brokers Guild-Cherry Creek Ltd..